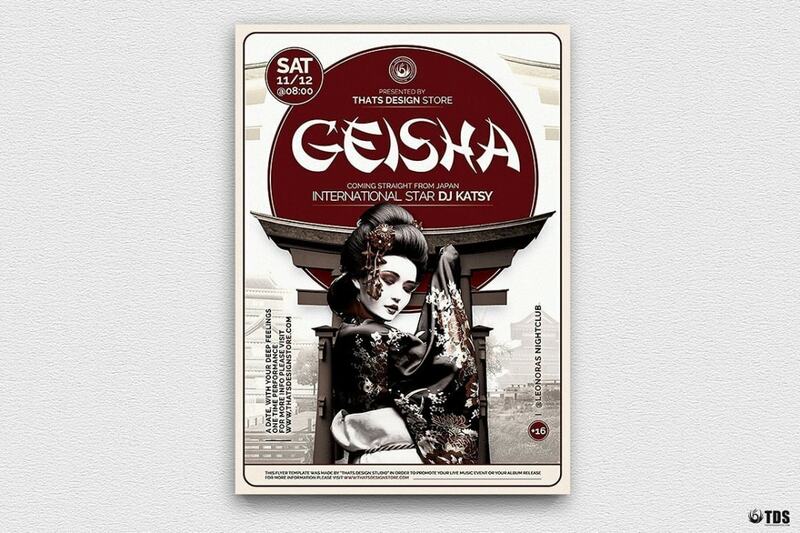 Lady’s Picture is not included. Replace it easily with your owns via Smart Object. Model Link in the help file. Customize your geisha party psd flyer template easily. 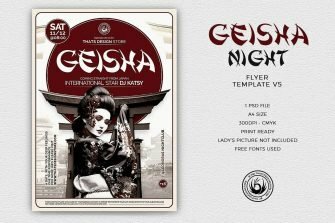 Save time and money with this geisha Flyer Psd Design.